Ninth Triennial Gathering | Ninth Triennial Gathering | International guests gathered for a reception Saturday evening, July 26, at the Ninth Triennial Gathering. From left are the Rev. 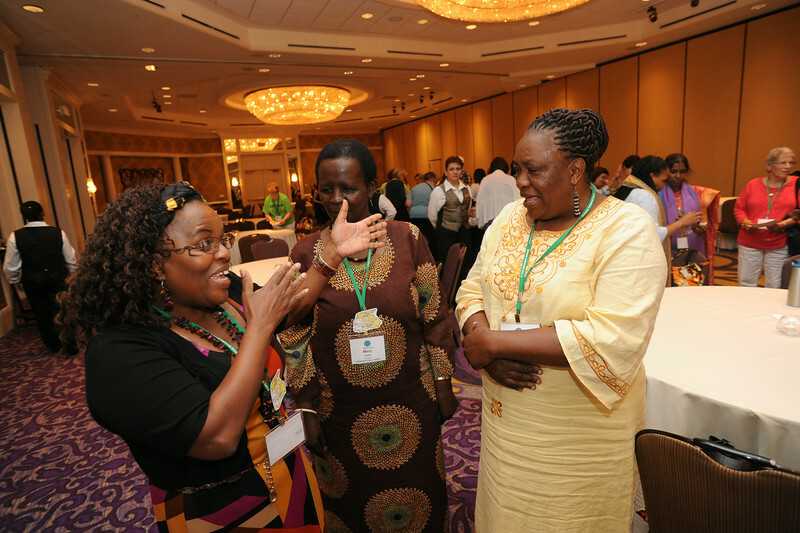 Esther Ngomuo from Tanzania and serving Nashville's Christ Lutheran Church; and Mary Laiser and Sara Lomayani from Tanzania, North Central Diocese.